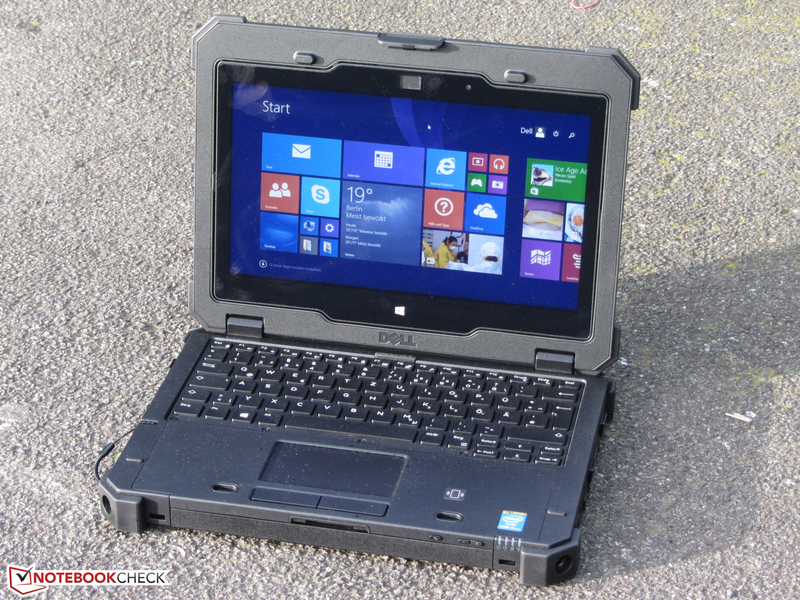 Extreme ist beim Dell Latitude 12 Rugged Extreme Convertible eine Untertreibung. Der Laptop erfüllt Militärstandards und sieht mit seiner matten Oberfläche so aus als käme er direkt aus einem Spionage-Film. Die internen Komponenten sind laut IP-65 gegen Sand, Staub und Flüssigkeiten geschützt. Der 11,6 Zoll große HD 16:9 Direct-View-Bildschirm kann im Freien gelesen werden und ist durch ein strapazierfähiges Scharnier, welches Wenden des Bildschirms in einen tablet-ähnlichen Modus ermöglicht, verbunden. Es gibt viele Modelle. Das Top-Modell bietet einen Intel Core i7-4650U Dual-Core-Prozessor mit einer Taktrate von 1,70 GHz, 16 GB 1600 MHz DDR3L RAM und Intel HD Graphics 5000. Das Dell Latitude 12 Rugged Extreme kann mit bis zu einer 512 GB SSD konfiguriert werden, die für Leistung und Robustheit sorgt. Am System können verschiedene Windows-Versionen installiert werden, davon ist Windows 8.1 Pro 64-bit die neueste. Sicherheit wird durch einen stahl-verstärkten Kabel-Lock-Slot, einen Smartcard-Leser und optional einen Fingerabdruckleser aufgemotzt. Zu den weiteren Features gehören eine anpassbare Tastatur mit RGB-Hintergrundlicht, hochwertige Lautsprecher, zwei USB-3.0-Ports und ein HDMI-Ausgang. Ein 4-Zellen Lithium-Ionen-Akku versorgt das Gerät mit Strom. Our Latitude 12 Rugged Extreme was not exciting to use, even with multiple backlighting colors. It's a capable Windows notebook with a tablet mode that'll test your arm strength. But it's a remarkable work of engineering we wouldn't hesitate to recommend for anyone whose work could be judged by the price of failure to deliver results. The Dell Latitude 12 Rugged Extreme is certainly a good choice for the mobile user who cares more about surviving dust storms than surviving suburbia. It can handle most, if not all, the abuse directed toward it, short of a direct hit from small arms fire. 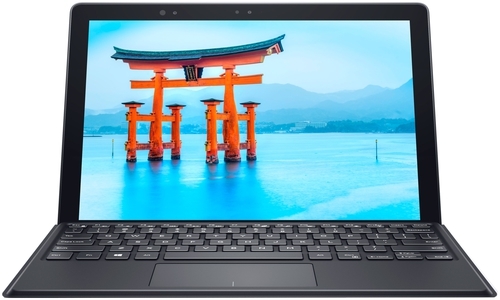 The Dell Latitude 14 Rugged Extreme has a larger screen, better connectivity options, and will serve a wider variety of users better, so it remains our Editors' Choice for rugged laptops. That said, the Latitude 12 would work if you need a more versatile touch screen in a more compact package. The Dell Latitude 12 Rugged Extreme is meant to take what the harsh outdoors can dish out, and it can confidently perform in environments other laptops can only dream of. This is the kind of system police install in their vehicles and contractors use on the worksite. I also like the bright and responsive touch screen, which allows you to use this device in tablet mode, as well as the strong performance. Das portable und leichte Dell Latitude 12 E7250 ist ein Ultrabook, das die Lücke zwischen Smartphone und Computer überbrückt. Einige werden Profil und Ergonomie gegenüber einem Tablet bevorzugen, vor allem da Microsoft Windows 8.1 Pro 64 bit installiert ist. Die Marke Dell Latitude bürgt für hohe Qualität, die dieses Gerät mit seinem erstklassigen Materialien liefert. Das Kohlefaser-Gehäuse ist solide und fühlt sich in der Hand angenehm an. Die Hardware des Ultrabooks besteht aus einem Intel Core i5-5300 Prozessor mit einer Taktrate von 2,3 GHz, 8 GB DDR3L RAM, einer integrierten Intel HD Graphics 5500 GPU und 256 GB internem Speicher. Der 12.5-Zoll große kapaztitive Touchscreen mit einem Seitenverhältnis von 16:9 liefert großartige Farben und wird durch Gorilla Glass geschützt. In Anbetracht der Hardware besteht wenig Zweifel, dass das Dell Latitude 12 E7250 eine Vielzahl von Alltagsaufgaben bewältigen kann. Das 1,5-kg-Gerät verfügt über drei USB-3.0-Ports, einen HDMI-Port, einen DisplayPort, einen Kartenleser, einen Fingerabdruckleser und NFC. Man braucht nicht extra erwähnen, dass das Dell Latitude 12 E7250 mit Features vollgepackt ist und sogar Sicherheit berücksichtigt wurde. Die Tastatur ist komfortabel und verfügt über ein Hintergrundlicht. Die Akkulaufzeit ist mit 4-Zellen-Lithium-Polymer-Akku erstaunlich. Der Lüfter bleibt im Leerlauf und auch bei kurzen Lastphasen flüsterleise. Bei anhaltender Rechenlast wird er mit bis zu 2 Sone sehr laut ... Der i5-Doppelkern liegt in den Benchmarks auf einem Niveau mit den i7-Vertretern bei HP und Lenovo. 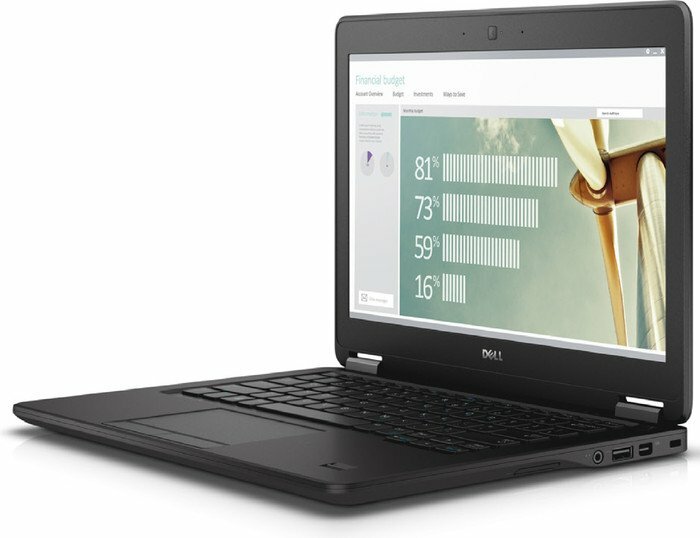 Still, the Dell Latitude 12 7000 is one of those products that get nearly everything right. Its refreshed design has a classy upscale appearance, especially the woven carbon-fiber lid and silicone soft-touch surfaces. The backlit keyboard is first-rate and we enjoyed the spacious and smooth touch pad, though users coming from Lenovo ThinkPads or HP EliteBooks will miss their pointing sticks. The Latitude 12 7000 Series (E7250) is the ultimate business-class Ultrabook for power users. Even though the understated design may look boring compared to the sheen of consumer notebooks, the Latitude's subtle curves make it appear stylish while staying functional. A long three-year warranty, upgradability, removable battery, comfortable keyboard and assortment of wired and wireless connectivity options make the Latitude an excellent productivity companion for mobile road warriors who need a thin-and-light laptop without compromise. 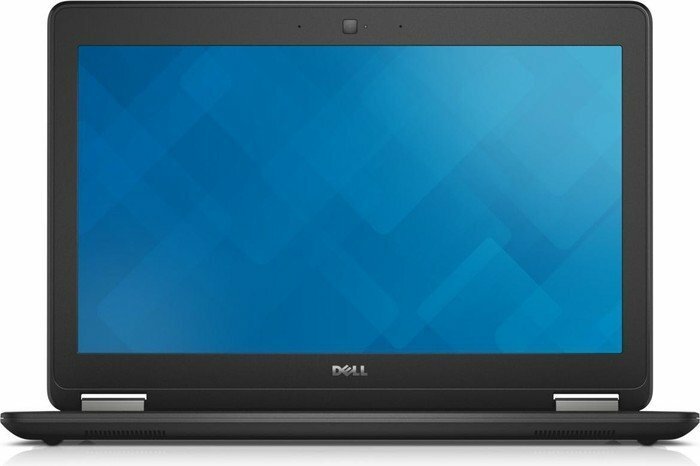 The Dell Latitude E7250 may not be as glamorous as the ThinkPad X1 Carbon or Toshiba Portege Z30T-A, but it is a solid, dependable machine all the same, with some unique offerings for businesses that may be interested in them. The Dell Latitude E7250 is an Ultrabook that's ready to work: It's easy to carry, comfortable to type on and will last you all day on a charge. However, I'm turned off by the finicky touchpad and mediocre audio quality. Overall, the Latitude E7250 has some flaws, but it holds its own in the ultraportable category as an office workhorse. 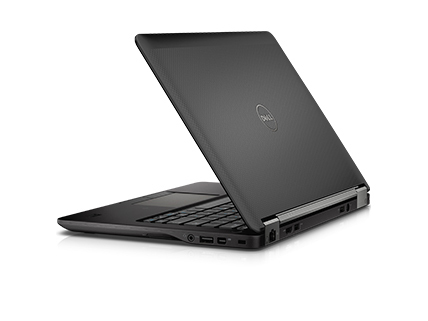 If you are a business user who needs extra portability, the Dell Latitude 12 7000 Series (E7250) is a good choice. It is rugged, has a really nice screen, and good performance, including nine hours of battery life. We believe it could find a place in your business plans, whether you're a Fortune 500 company, or one that barely has 500 employees. 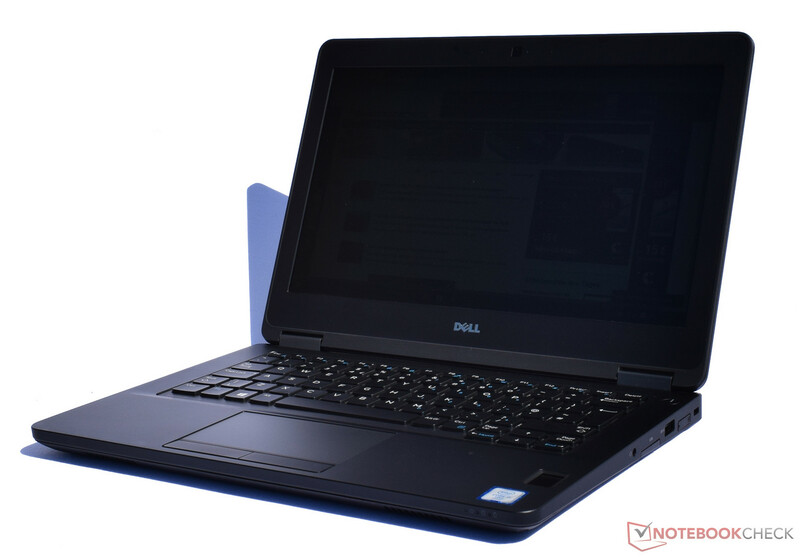 Its 14-inch counterpart, the Dell Latitude 14 7000 Series (E7450), remains our Editors' Choice business ultrabook, as it has more battery life, is a little less expensive, and has more crowd-pleasing features like a larger screen and dual pointing devices. Positive: Robust casing; slim and light; excellent display; incredibly comfortable keyboard. Negative: High price. 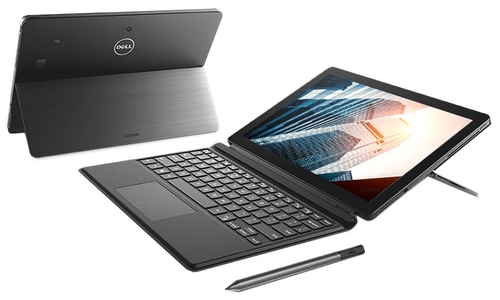 The Dell Latitude 7000 gets a lot right for a 12-inch 2-in-1 device. 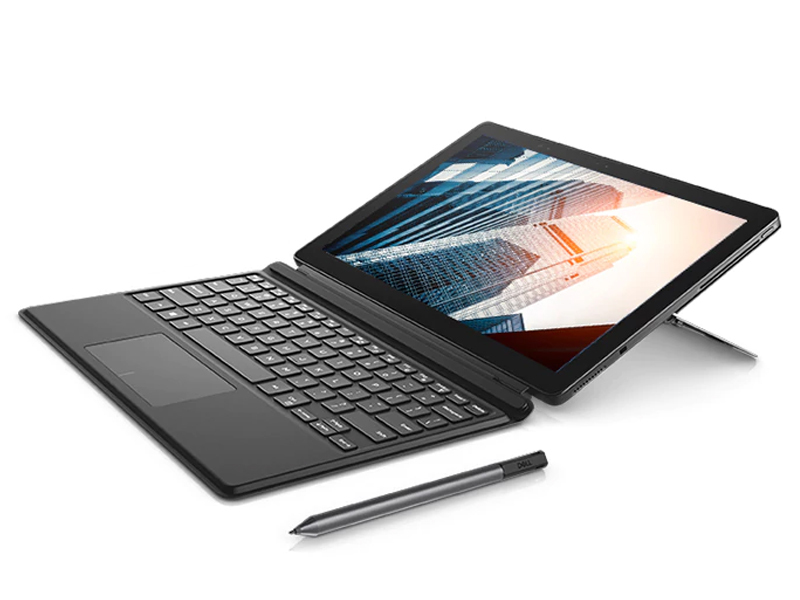 A full-size keyboard, high-quality trackpad and a tablet that doesn’t make your feel like you’re wielding a computer monitor are all things we want in a hybrid. A sky-high price and that the battery will only get you through one of the Lord of the Rings movies make it seem more like a first try effort with limited mainstream appeal (despite this not being the case, Latitude is well established). 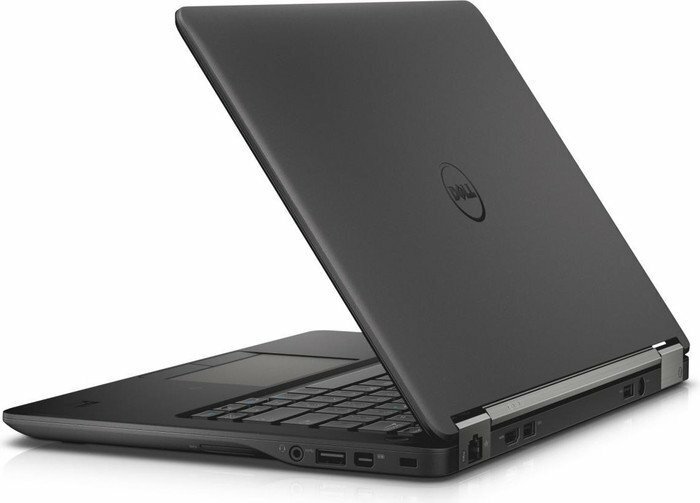 Slim, light, and versatile, the Dell Latitude 12 is an excellent system for the on-the-go user who does a little bit of everything. A touch of browsing, lots of email, light image editing, and maybe a Hearthstone match in between – the Core M chips have come a long way, and it’s starting to show. The Latitude's advantage over rival Windows 10 2-in-1 devices is its 4K display, which is truly magnificent for getting productive or enjoying your media on the move. However, you'll certianly need to pay up for those quality visuals, with a price that comes dangerously close to the excellent Surface Book (which offers a more travel-friendly experience overall). 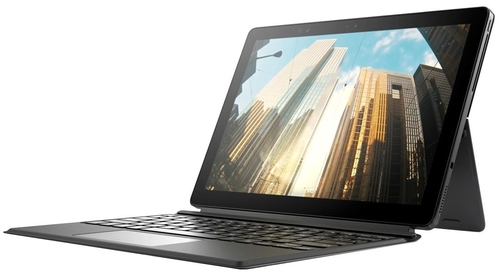 While the Latitude 12 7000 is tougher, more secure and more customizable than its consumer sibling, it succumbs to the same issues that made the XPS 12 hard to recommend: poor battery life and mediocre performance. The Latitude's sparkling 12.5-inch display is a bright spot, but if you choose the folio keyboard, much of the Latitude 12's thinness gets traded for on-the-road usability. Positive: Stunning display and audio quality; powerful enough; extraordinary design styles; full-size keyboard is detachable. Negative: Expensive; short battery life. Das Dell Latitude 12 E7270 ist ein 12-Zoll-Laptop der Business-Klasse der gleichermaßen portabel wie leistungsfähig ist. Mit bis zu einer Intel Core i7-6600U (Dual Core, 2,6 GHz, 4 MB Cache, 15 W) CPU, 8 GB (1 x 8 GB) 2133 MHz DDR4 RAM, einer M.2 128 GB SATA Class 20 SSD und einer integrierten Intel HD Graphics 520 ist er eindeutig mit leistungsfähiger Hardware ausgestattet. Beim 12,5-Zoll großen Bildschirm gibt es drei Optionen: HD, FHD oder FHD Touchscreen mit Corning Gorilla Glass NBT. Zudem verfügt der Laptop über eine Kamera und ein Mikrofon. Er misst 310,5 x 215,15 x 18,85 mm) und wiegt 1,26 kg. Das Windows 7 Professional 64 bit System kann gratis auf Windows 10 Pro upgegraded werden. Es verfügt über einen primären 3-Zellen Akku mit 37 Wh und ExpressCharge. Kabellose Netzwerkverbindungen sind via Intel Dual-Band Wireless-AC 8260 Wi-Fi und Bluetooth 4.1 möglich. Die Schnittstellenaustattung umfasst drei USB-3.0-Ports, einen SD 4.0 Speicherkartenleser, einen LAN-Port (RJ-45), einen SIM-Kartenslot und drei M.2 Erweiterungsslots. Pro: hochwertiges Business-Notebook; außergewöhnliche Akkulaufzeit; vielfältige Sicherheitsfunktionen; sehr gute Systemleistung; sehr leiser Lüfter; umfangreiche Ausstattung; mattes, spiegelfreies Display; verschiedene Docking-Optionen. Contra: kein Touchscreen, keine Stiftbenutzung; kein Mobilfunkmodem; vergleichsweise hoher Preis. Plus: Docking-Anschluss; lange Garantie. Minus: teuer; kein Hoch-DPI-Display verfügbar. The Dell Latitude 12 7000 won't win any beauty contests but then again, for what it is designed to do it is very good. It is the smallest form factor a business laptop can take without any compromise on functionality and if you can afford it, it's a very good choice. Nach der CES 2017 sieht es wieder einmal danach aus, dass der Tablet-Markt mit starker Konkurrenz gegen Microsofts Surface Linie durchgewirbelt wird. Dell enthüllt dabei seine eigene Kontribution, das Dell Latitude 12 5285, was auf den ersten Blick fast für ein Surface gehalten werden könnte. Das eigentliche Konzept die Leistung eines Notebooks und die Flexibilität eines Tablets in einem einzigen Paket zu kombinieren ist nichts Neues und lässt den Spruch „Imitation ist die aufrichtigste Form der Schmeichelei“ glaubhaft klingen. Was steckt also unter der Haube dieses mutmaßlichen Nachahmers? Zuerst einmal haben die meisten Top-End-Tablets den gleichen Low-Power Intel i7-7600U Prozessor der 7. Generation an Bord, welcher nicht gerade ein herausragendes Feature darstellt, sondern eher ein langweiliges Merkmal eines Durchschnittsgeräts. Aber als Premium-Konkurrent des Surface hat es mehr Speicher als erwartet (16 GB), obwohl das für ein Tablet, das sich primär an Business-Kunden richtet, vorerst überdimensioniert wirkt – zusätzlicher Speicherplatz ist im Endeffekt aber immer willkommen. Des Weiteren wird es mit einer auf NVMe-basierten 256-GB-SSD geliefert, welche bereits alleine mehr wert ist als das gesamte Tablet. Hinsichtlich der Gehäusekonstruktion lässt sich dem Latitude 5285 ein Premium-Anspruch attestieren, da es sich aufgrund der hochwertigen Magnesium-Legierung sehr stabil und unnachgiebig präsentiert. Die verbaute Stütze ist gleichermaßen widerstandsfähig. Ein interessantes Feature des Klappständers ist seine Automatik. Wird das Tablet auf einer flachen Oberfläche platziert, werden zwei Tabs an der Unterseite des Geräts aktiviert und der Mechanismus dreht das Tablet in den Aufstell-Modus. Das Feature kann auch mit der Reisetastatur verwendet werden. Was die Eingabevarianten betrifft, bietet Dell eine portable Tastatur als Option an, was jedenfalls als Vorteil gesehen werden kann, da der Hersteller die Tastatur nicht ab Werk verbaut und der Kunde somit die Wahl hat. Auch hinsichtlich des Marktpreises ist diese Entscheidung löblich. Die Tastatur weist ein Chiclet-Design auf und kann sowohl im flachen als auch im aufgestellten Modus verwendet werden. Der Tastenhub ist recht gering, das Feedback wiederum ist ganz anständig. Außerdem gibt es ein integriertes zweistufiges Hintergrundlicht, welches dem Tester auch ganz gut gefallen hat. Doch an der Tastatur gibt es leider auch etwas zu bemängeln, da sie sich im aufgestellten Modus etwas mehr biegt als sie sollte, was vor allem Vielschreibern negativ auffallen wird. Das Touchpad setzt Bewegungen und Gesten reibungslos um, und das Clickverhalten ist um einiges solider und knackiger als dies bei vollwertigen Notebooks der Fall wäre. Was Tablets betrifft, steht der Touchscreen im Rampenlicht. Es handelt sich um ein 10-Punkt-Multi-Touch-Display geschützt von Corning Gorilla Glas, welches Kratzer minimiert, auch wenn das Display unten liegt. Bei der eigentlichen Displayeinheit handelt es sich um ein FHD-IPS-Panel, was fast einem Abstieg entspricht, wenn man zum Surface oder gar zum höher aufgelösten Transformer 3 Pro blickt. Dennoch bietet das Dell-Display ein scharfes Bilderlebnis. Der auf den ersten Blick enttäuschend niedrigen Auflösung kann etwas durch die sehr helle Panelhelligkeit entgegengesteuert werden. Falls der Kunde andere Eingabemöglichkeit erwerben möchte, bietet Dell auch einen Bluetooth Active Eingabestift an (AAAA-Batterie), wobei anzumerken ist, dass dieser Stift nicht unbedingt für künstlerische Zwecke geschaffen wurde, sondern hauptsächlich Notizen dienen soll. Die Soundcharakteristik ist allgemein gut ausbalanciert, der Bass hingegen existiert kaum. Mithilfe der Waves MaxxAudio Pro Software können User die Audioqualität noch verbessern. Die Batterielaufzeit des Dell Latitude 12 5285 mit 8 Stunden WLAN-Surfen übertrifft die Konkurrenz in überragender Manier. Abschließend ist das Latitude 12 5285, abgesehen von einigen wenigen kleinen Ausnahmen, ein felsenfester Rivale des Surface. Déjà-vu. Für einen unachtsamen Betrachter würde das Dell Latittude 12 5285 2-in-1 dem Surface Pro 4 wahrscheinlich zum Verwechseln ähnlich sehen. Von der Bildschirmgröße und den Gehäuseabmessungen bis hin zum Zubehör, wie der abnehmbaren Tastatur oder dem Active Stylus - das Latitude ist dem Surface in vielerlei Hinsicht ähnlich, aber nicht in jeder. Positive: Compact size; decent hardware; comfortable keyboard. Negative: Low autonomy. Positive: Metal case; solid workmanship; nice display; decent hardware; smart stylus pen. Negative: Relatively high price; overheats while using. Intel HD Graphics 4400: In den Haswell-Prozessoren (4. Generation Core) integrierte Grafikkarte in mittlerer Ausbaustufe (GT2). Je nach Prozessor unterschiedlich getaktet.Intel HD Graphics 5500: Integrierte Grafikkarte (GT2), welche in einigen Broadwell-ULV-CPUs (15 Watt TDP) verbaut wird.Intel HD Graphics 515: Integrierte Grafikkarte (GT2), welche in einigen Core-m-CPUs (Skylake, 4,5 Watt TDP) verbaut wird.Diese Klasse ist noch durchaus fähig neueste Spiele flüssig darzustellen, nur nicht mehr mit allen Details und in hohen Auflösungen. Besonders anspruchsvolle Spiele laufen nur in minimalen Detailstufen, wodurch die grafische Qualität oft deutlich leidet. Diese Klasse ist nur noch für Gelegenheitsspieler empfehlenswert. Der Stromverbrauch von modernen Grafikkarten in dieser Klasse ist dafür geringer und erlaubt auch bessere Akkulaufzeiten. 7100U: Auf der Kaby-Lake-Architektur basierender ULV-SoC (System-on-a-Chip) für schlanke Notebooks und Ultrabooks. Integriert unter anderem zwei CPU-Kerne mit 2,4 GHz Taktrate und HyperThreading sowie eine Grafikeinheit und wird in 14-Nanometer-Technik gefertigt. 76.29%: Weltbewegend ist diese Bewertung nicht. Obwohl es bei den meisten Websites einem "Befriedigend" entspricht, muss man bedenken, dass es kaum Notebooks gibt, die unter 60% erhalten. Verbalbewertungen in diesem Bereich klingen oft nicht schlecht, sind aber oft verklausulierte Euphemismen. Dieses Notebook wird von den Testern eigentlich als unterdurchschnittlich angesehen, eine Kaufempfehlung kann man nur mit viel Wohlwollen darin sehen. » Lesen Sie auch unsere Notebook-Kaufberatung.